Members of the Alliance for Philadelphia Public Schools have called on School Reform Commission Chair Marjorie Neff to nullify the vote taken at its January 21 meeting on the fate of Wister Elementary School in Germantown. In a letter sent Monday (click here to read the letter) APPS co-founders Lisa Haver and Karel Kilimnik list a number of reasons why the resolution introduced from the floor by Commissioner Sylvia Simms, and approved just minutes later by the SRC, is not valid. Commissioner Simms, in an unprecedented move, introduced a resolution from the floor asking the SRC to proceed with pairing Wister with Mastery Charter Schools, thus overruling Superintendent William Hite’s decision to remove Wister from its Renaissance Program. “Ms. Simms said she heard from parents on both sides, but she didn’t attend any of the meetings held by parents at Wister to keep the school public,” said Kilimnik. APPS claims that “deliberate deception” was used by “district officials at all levels” to keep Wister parents from attending the January SRC meeting. Resolutions were posted to approve two other schools’ placement into the Renaissance program, but none was posted for Wister. District officials had already begun to hold meetings at Wister to develop an alternative program. “The message from the district and the SRC was clear: we are taking no action on Wister,” said Kenya Nation, a Wister parent. “The Wister parents have been meeting every week over the past three months and came to the last three SRC meetings. I would have come to the January meeting if I had known the SRC was going to take a vote on the future of our school,” she said. The letter also states that Neff’s refusal to allow the public to speak before the vote was taken is a violation of the state’s Sunshine Act. APPS filed suit against the SRC and the district in November 2014 on similar grounds after its vote to cancel the PFT contract the previous month. 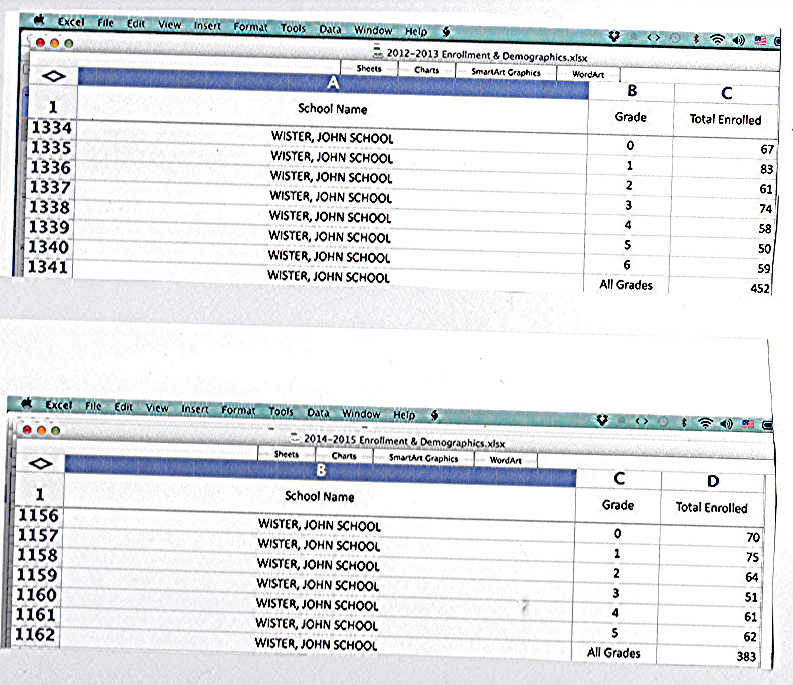 Nine Philadelphia academics use the SRC’s much touted data to show their is not basis for privatizing Wister Elementary. When Superintendent William Hite announced that he had changed his mind about placing John Wister Elementary School into the “Renaissance” program and turning it over to Mastery Charter Schools, the school community rejoiced. He cited new data that showed the school had made significant growth. But at last week’s meeting, School Reform Commissioner Sylvia Simms introduced an eleventh-hour resolution, approved by the SRC, to override Hite’s decision. The resolution had not been posted before the meeting, and Chairwoman Marjorie Neff denied requests from members of the public to comment before the vote. It was a stunning abuse of power, even for the SRC. Simms read a statement in which she expressed the “emotions” she felt after meeting with parents and Mastery representatives just days before the meeting. Wister parents fighting to keep the school public, who did not see Simms at any of the community meetings held over the past three months, were shocked. Some questioned why Simms was moved to action in this case when in 2013 she voted to permanently close 24 schools, even after hearing the pleas of their students, parents and teachers. The SRC’s blindside has nothing to do with giving parents more choice; in fact, Wister parents now have fewer options. Students at the future Wister Mastery would attend Mastery Pickett for middle and high school. Children whose parents do not want them to attend a charter school from kindergarten through 12th grade would have to travel a longer distance each day, assuming that a school outside their catchment area would admit them. When parents were given a true choice, as those at two other elementary schools were two years ago, they voted overwhelmingly to stay in the district. What parents want their child’s school placed in a failed program? The 2015 PSSA scores show that, even with additional funding, none of the 21 existing Renaissance schools achieved a math score over 20 percent; only eight topped 30 percent in reading. Nor does the SRC vote have anything to do with facts or data. Commissioner Feather Houston acknowledged the district used faulty data when it chose Wister as one of three schools to be turned over to charter companies. The SRC’s latest assault on democracy leaves little doubt about its determination to move forward with the privatization of the city’s public schools. That agenda was rejected by the city’s voters in the most recent gubernatorial and mayoral elections. But the five SRC members, three appointed by the former governor and two by the former mayor, apparently have no intention of respecting the wishes of the voters. The SRC’s action leaves little doubt that the disenfranchisement of Philadelphia’s voters must end so that those with a stake in the district – that is, every resident and taxpayer – can choose a school board accountable to them. No governmental body, whether appointed or elected, is permitted to rule by fiat. Sufficient time for consideration by both legislators and the public must be provided if we are to maintain a democratic system. An action with far-reaching consequences like converting a public school into a charter should not happen without notification or public discussion. The mayor and the governor cannot allow this action to stand. At the December 17, 2015 meeting of the Philadelphia School Reform Commission, APPS member Coleman Poses testified that the SRC was using incorrect information for the Wister Elementary School “turnaround” to Mastery Charter. The proposed conversions have been a topic of fierce debate at School Reform Commission meetings in recent months. Each school has seen parents and advocates pushing both for and against conversion. Wister was home of the most coordinated campaign to keep the school within district control. Community member Coleman Poses correctly pointed out that the district relied on faulty enrollment data in its pitch to convert the school. The response of local corporate education reformers was to go into overdrive, as Hite’s reversal would interfere with Mastery’s attempt to create its own charter district in Philadelphia. The Philadelphia Inquirer, owned by Mastery backer H. F. Lenfest, published an article publicizing Mastery’s petition drive and its aftermath. I take issue with several of the points that Cetel makes in his commentary. He speaks to the fact that 34% of the families in Wister’s catchment area have chosen other schools to attend. Nowhere does he mention the fact that the school’s capacity is 517, and that the school was operating at 88% of its capacity in 2013. But even if we accept Mr. Cetel’s argument that 34% of Wister catchment families have voted with their feet, what does this say about the 66% of the families that have remained in their local district school? 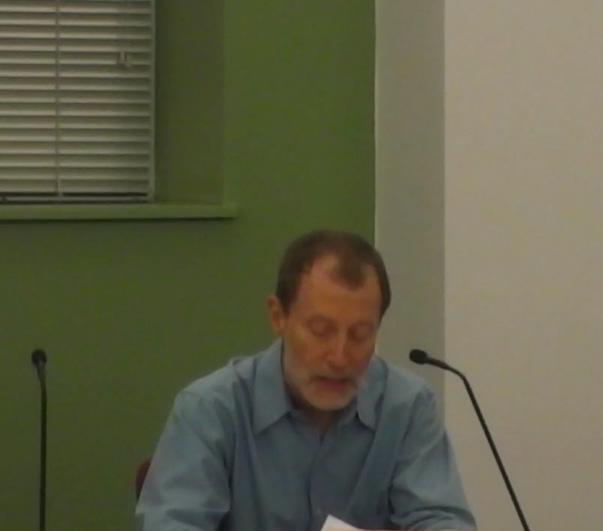 Mr. Cetel points out that money alone will not solve Wister’s problems, but his argument appears to belie this point. He mentions that in the 2010-2011 school year, Wister received more money from the district, yet was still struggling academically. Missing from this argument, however, was the fact that Wister was still making AYP, and that, when the money was taken away, proficiency rates diminished at the school. Missing also, was the fact that the school was still not funded the way that schools in richer districts were funded. Given the fact that Wister also has more socio-economic challenges than many of the schools in richer districts, the results at the school are even more impressive. What confirms Mr. Cetel’s argument might be the fact that one would expect even more progress from the cash flush Mastery Schools. His cherished view of Gratz High School appears less dazzling when one looks at the school’s rating in the Great Philly Schools database, where Gratz scored an overall 3 out of 10 for all Philadelphia high schools, with a “1” in Math, and a “3” in reading. Although I am certain that a number of Gratz students like Jerome and Terrell make it to college, those colleges will need to provide a lot of help to bring them up to the level of proficiency that they should have gotten in high school. Joining the usual refrain of corporate reformers, Mr. Cetel contends that more resources will make no difference in providing a quality education at Wister. He fails to explain why that same standard does not apply to Mastery, one of the greatest beneficiaries of the policies which continue to starve public schools while feeding more and more to charters. Ignoring its much vaunted “data” which it claims is the basis for turning “underperforming schools” over to charters, the SRC at its Thursday, January 21st meeting voted to begin the process of turning Wister over to Mastery Charter company regardless of the data. What is clear is that public schools will continue to be starved and the resulting corrupt “data” and the the interests of the community will continue to be ignored in order to achieve a privatization agenda. This testimony was given at the December 17th SRC meeting. Last month I testified about the questionable data that the school district had presented during several meetings with the families, staff, and the neighbors of the John Wister School in Germantown. 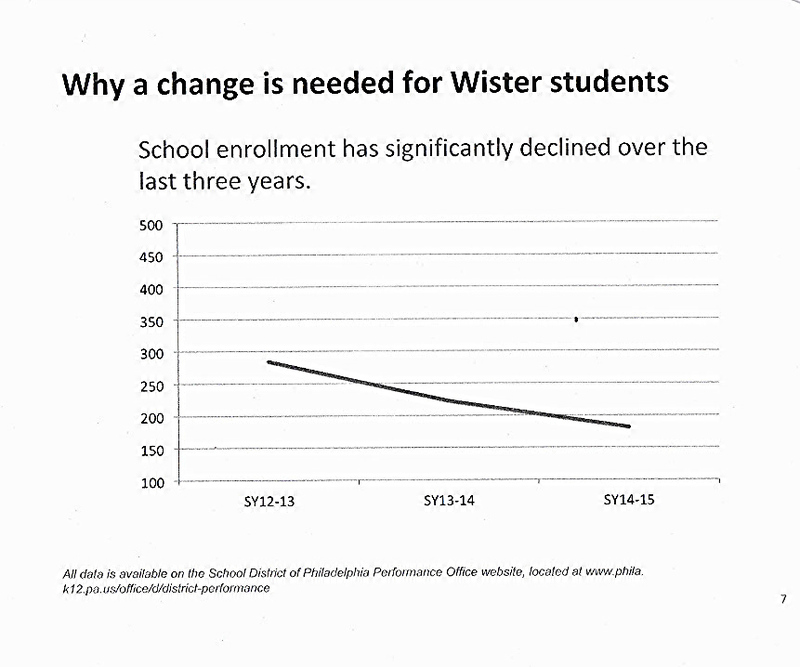 I showed one slide, which was entitled “Why a change is needed for Wister,” which, supposedly detailed a precipitous decrease in student enrollment over 2 years from about 275 to about 170. I showed another slide, based upon my own research, that showed that the student population at Wister fell from 452 to 383, but that the decrease was due to the school’s losing a sixth grade, and that four out of the six remaining grades actually increased in population. About a week later, to my surprise, I received a phone call from Dave Zega, in Superintendent Hite’s office – informing me that my data were in fact correct. The information that I had displayed in my first exhibit were actually data about another school. He went on to say that my slide had actually been supplanted by the correct slide in subsequent Powerpoints. I informed Mr. Zega that I had attended several meeting in both October and November, and that the new data were never presented at these meetings. I then asked Mr. Zega if he wouldn’t mind sending the new information to the Wister principal and families. He informed me that he would need to consult his colleagues. As of today, neither the staff, nor the families to whom I have spoken, have been informed of this new information. I do not wish to speculate upon why the school district has not disseminated the correct information to the public. I just thought that the SRC, as the final arbiter of this turnover, would be interested in knowing the truth. Thank you. PSSA state tests are failing Pennsylvania's children.